Our portfolio is comprised of 5,000 IT products and 250 consumer electronics products that include top-of-the-line brands. Our distribution process is carried out end-to-end, from import to delivery, with the help of 260 highly skilled and trained staff. Comtrade Distribution operates in twelve markets – Serbia, Montenegro, Macedonia, Bosnia and Herzegovina, Croatia, Slovenia, Romania, Bulgaria, Hungary, Greece, Moldova and Cyprus. Stock optimization, strictly controlled inventory rates and efficient management of receivables bolster our solid financial position. Our B2B portals enable partners to browse through our product portfolio, view and compare product details and submit orders online. We are the first IT distribution company to have its products certified using the ISO 9001 certification standards. 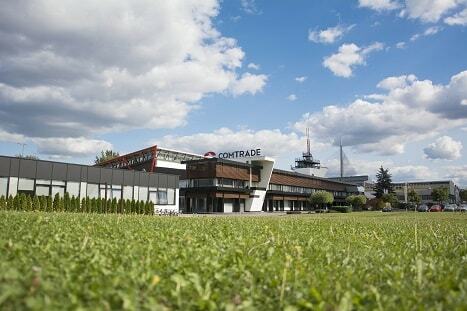 Owner and Chairman of the Board of Comtrade Group, founded in Serbia more than 25 years ago, Veselin Jevrosimovic now presides over a globally relevant cluster of IT companies, with several thousand employees, most of them software engineers. He has steadily grown a one-time IT services provider into a world-leading source of data backup & recovery tools, custom-made digital transformation solutions and a data processing powerhouse, which serves clients such as Citrix, Ryanair, Viber and CERN. Under his leadership, Comtrade - the most successful IT company in Southeast Europe - continues to grow and now has offices in the East and West Coast of the USA, the Philippines, in Dubai, as well as across West and Central Europe. In his early career, Mr. Jevrosimovic was a partner in CHS Electronics, a leading international distributor of computer hardware and software, active in 50+ countries worldwide at the time. With Comtrade a member of the World Economic Forum as a Global Growth Company, Mr. Jevrosimovic participates in WEF meetings worldwide and continues to link East and West, sharing knowledge. Mr. Jevrosimovic is also known as a philanthropist, especially for his open education initiatives. He holds a Bachelor Degree in Management from the University of Florida and an IT Engineering degree from Information Technology School in Belgrade. Once a member of the national track & field team, he now chairs the Athletics Association of Serbia. During his mandate, several track and field facilities have been renovated across the country and a state-of-the-art indoor track venue was built in the capital, Belgrade. 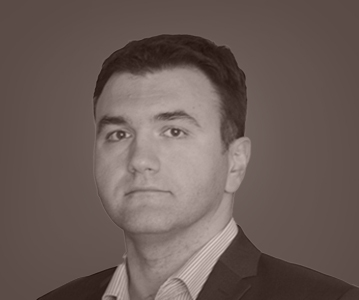 Bogdan Nikitovic is the CEO of Comtrade Distribution. He brings more than 25 years of extensive experience in software development, hardware and software distribution, technology leadership as well as go-to-market strategy development. Mr Nikitović joined Comtrade in 2005 and served as General Manager of Serbian subsidiary until he was appointed as CEO of Comtrade Distribution in 2010. His multifaceted experience allows him to support and guide all aspects of the business, including finance, product development, planning and strategy execution. Under his leadership, the company’s distribution business grew to 280 professionals in 13 markets. 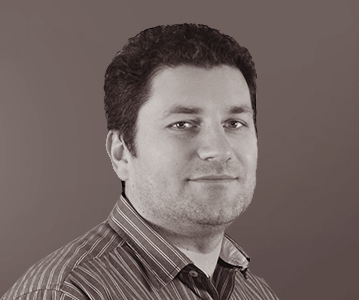 Prior to Comtrade, Mr Nikitović worked as a software developer in the military industry. In 1993, he founded Code Computer Engineering, a company that sold hardware and software products to end-consumers. From 2004 – 2005, he served as CEO of Imtel Computers, where he was responsible for the strategy direction, management and product execution. He holds a Bachelor’s degree in Electrical Engineering from the University of Podgorica. 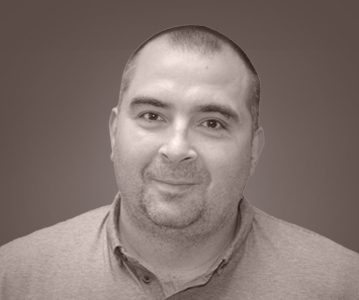 15 years of executive and operational experience, combined with his in-depth knowledge of the IT industry. Mr Bratić’s core competencies lie in developing and managing strong, revenue-driven partnerships, complemented by his deep understanding of client needs, and market dynamics. 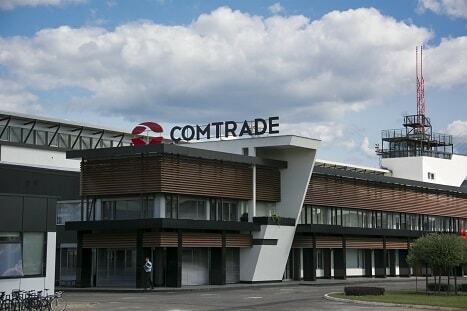 Since joining Comtrade in 2006, he has held various roles, including General Manager of Comtrade Distribution in Serbia. He has a proven track record of building and leading efficient teams across different markets, creating a high-performing sales culture, and driving revenue and profit growth. 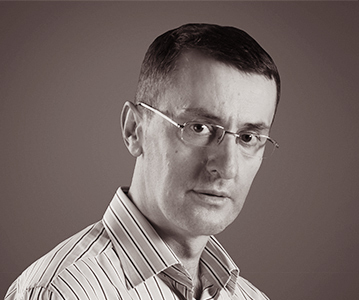 Mr Bratić holds a Master of Science Degree in Electrical Engineering, University of Belgrade. Nebojša Uskoković joined Comtrade Group in 2003. He has served as General Manager of Comtrade Distrubition since April 2018. 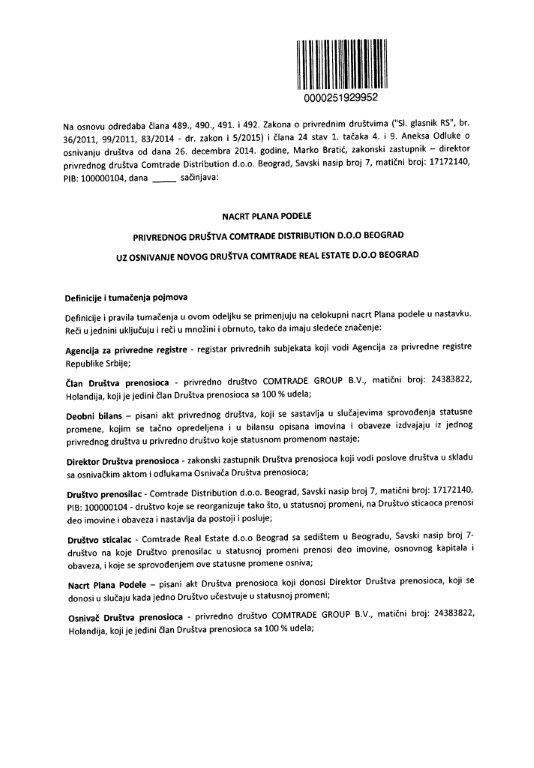 During his career at Comtrade, he occupied various positions within Comtrade Distribution and participated in the creation of Comtrade PC, the pioneering computer brand in Serbia. Today, he leads a successful team of 170 IT distribution experts. In his role, he is focused on developing the company’s consumer electronics brand Tesla. An executive with a diverse skillset, Uskoković has extensive experience in building and managing high-performing teams. His combination of dedication, integrity, proactivity and positive team attitude, makes him a sound business leader and motivator. He has proven track record in delivering powerful results, and is one of the visionaries behind Tesla, a brand with a mission to bring world-class standards to everyone. 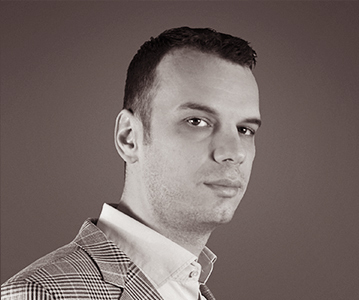 Mr Uskoković holds a Bachelor’s degree in Electrical Engineering from the University of Belgrade. Adnan Subašić currently holds the position of General Manager at Comtrade Distribution, Bosnia and Herzegovina. He began his career at Comtrade in 2002 as a Brand Manager. Following that, he worked as a Retail Director, and was responsible for the management of 15 retail stores across Bosnia and Herzegovina. During his tenure, he also served as Business Development Manager for Bulgaria and Director of Distribution company in Croatia. Subašić is renowned for his visionary management style, and has demonstrated ability to respond and adapt to changing market conditions. He established a reputation as a strong leader during the global economic crisis that has had a major impact on the IT industry. He has a passion for overcoming challenges and delivering results, backed by his deep business experience and proven expertise in crisis management. Sveto Batljan currently holds the position of General Manager of Comtrade Distribution, Montenegro. He began his career at Comtrade in 2004, working as Brand Manager. He later took on the position of a Business Development Manager and was appointed General Manager in 2009. Sveto has an in-depth knowledge of IT distribution, complemented by his diverse experience in operational and project management. He is a graduate of the Faculty of Electrical Engineering of Podgorica University. 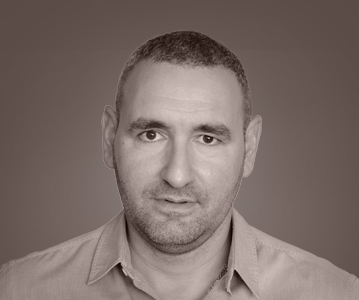 Dejan Dimov is an experienced IT expert and manager, with over 20 years of experience in finance, management and related fields. He is currently General Manager of Comtrade Distribution in Macedonia, where he is responsible for building partner relationships and overseeing day-to-day operations to ensure smooth and profitable operations, and reduce costs. Mr Dimov is known for his ability to take on challenging projects and drive new business growth. He built the Macedonian business unit from the ground up, growing the company from 0 to 30 employees, and 5 million EUR in annual revenue. In 2009, he completed a large-scale government project ’Computer for every child’, which represents the biggest IT equipment tender in Macedonia to date. 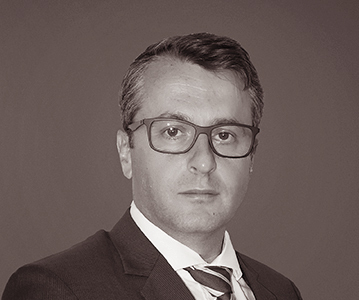 Prior to joining Comtrade in 2007, Mr Dimov held various finance and management roles including Member of the Management Board of Eurolink Insurance, Financial Manager of DERIST, and Account Manager at ULTRA Computing. He holds a Bachelor’s degree in Management from the Faculty of Economics, The Ss. Cyril and Methodius University Skopje, and is currently studying for a Master’s degree in Insurance Management. 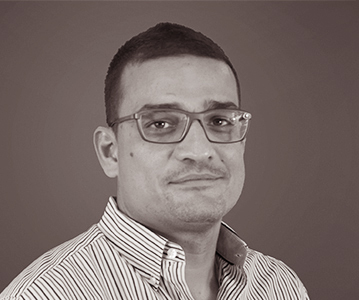 Velibor Vukosav has extensive experience in the field of IT and consumer electronics distribution in the Adriatic region, including over nineteen years of experience at Comtrade Group. Before appointment to the position of General Manager of Comtrade Distribution in Bosnia and Herzegovina in 2006, he had worked for ten years in various sales and marketing positions. In 2009, he was appointed as a Purchasing Director for the Distribution unit and moved to the Group's headquarter, where he was responsible for product line extension and cooperation with leading industry suppliers. Since 2016, he has been in charge of distribution operations in Slovenia and Croatia. 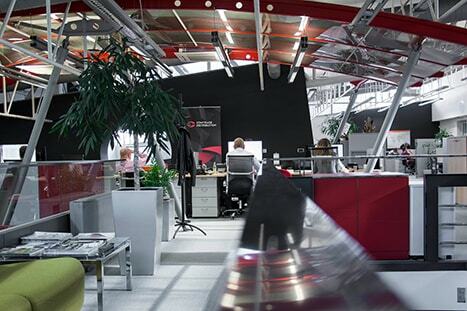 Throughout his career, Mr Velibor has managed company growth and development of business processes. His areas of expertise include sales and brand management, business development, operation and supply chain management. Additionally, he also has proven knowledge and experience in global product sourcing. 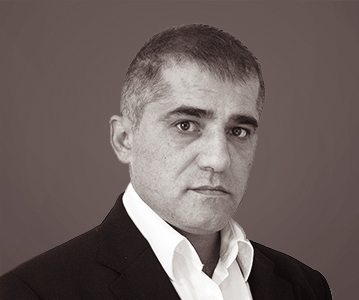 Nebojsa Lozo has more than 15 years of experience in the field of IT and CE distribution in the Balkan region. He joined Comtrade Group in 2013 and is currently General Manager of Comtrade Distribution for Romania, Hungary, Bulgaria and Greece. He played a key role in expanding the company’s business into new markets, and in 2017 he formed new Comtrade Distribution subsidiaries in Romania, Hungary, Bulgaria and Greece. 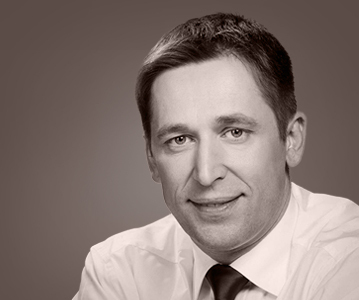 Nebojša is known for his ability to drive growth and expansion through strategic leadership, and deep understanding of market trends. During his career, he has held various positions in business development and sales management in several IT distribution companies. 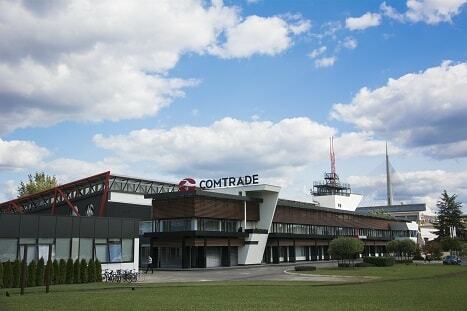 Đorđe Ristović is the Regional Business Development Manager of Comtrade Distribution. He joined Comtrade Distribution in 2016 as Business Development Manager for the Ex-Yu region, where he is responsible for the management of the entire product portfolio. In addition, he is also responsible for developing and maintaining relationships with existing and prospective clients, identifying growth opportunities, and developing new, innovative business models. 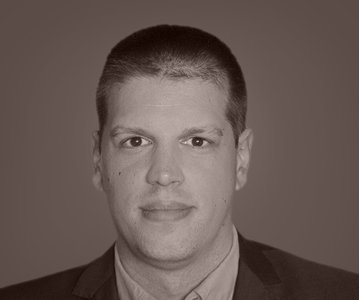 Mr Ristović has more than 15 years of experience in the IT industry. Prior to Comtrade, he worked at RRC in various capacities, including Cisco Pre-sales Engineer, Cisco Product Manager and Business Development Manager (Networking and Security Equipment) for the Ex-Yu countries, Bulgaria, Romania and Hungary. He holds a Bachelor’s degree in Electrical Engineering from the University of Belgrade and a Master’s degree in Engineering Management from the European University. Srđan Mirković joined Comtrade Distribution in 2010. During his career at Comtrade, he was in charge of various reporting and controlling tasks, overseeing the entire Distribution business unit with prudence and professional judgement. He was appointed Director of finance of Comtrade Distribution business unit in February 2018. Apart from extensive experience in reporting, planning, financial management and control, Mr Mirković's key competencies lie in in-depth knowledge of distribution business and regional markets’ dynamics. Such insight enables him to provide a comprehensive link between business needs and financial and reporting activities. 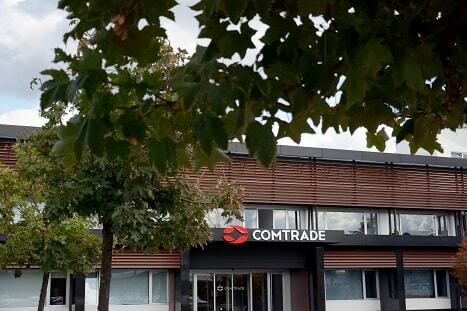 He has been actively involved in Comtrade distribution’s expansion in the EU in recent years. Prior to joining Comtrade, Mr Mirković worked in Assurance division of Ernst & Young Belgrade and performed various roles on numerous audit engagements. He is a graduate of the Faculty of Economics, University of Belgrade, and is also a member of the Association of Chartered Certified Accountants. 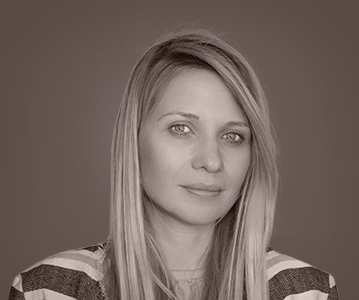 Tatjana has over 15 years of multifaceted experience in marketing and corporate communications. Her areas of specialization include internal communications, marketing strategy, corporate affairs, public affairs, product marketing and management. She joined Comtrade in 2007 and has held various roles within the group, including Executive Assistant to the President, Marketing Manager of Comtrade System Integration, and Corporate Communications Manager. In 2018, she was appointed Marketing Manager of Comtrade Distribution. Her responsibilties include driving marketing-led growth for the company’s brands, with a focus on the development and delivery of the go-to-market strategy for the brand Tesla. 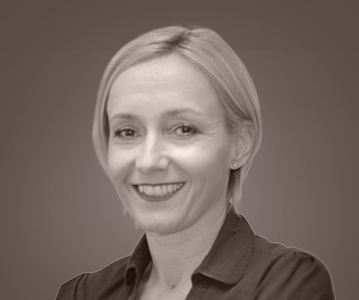 Ms Glišić has a deep understanding of cross-channel marketing, as well as proven ability in planning, leading and managing complex projects. Before Comtrade, she worked as PR Manager at Tuck film distribution company. She holds a Management degree from the Faculty of Organizational Sciences, University of Belgrade. Additionally, Ms Glišić is also a member of MENSA. 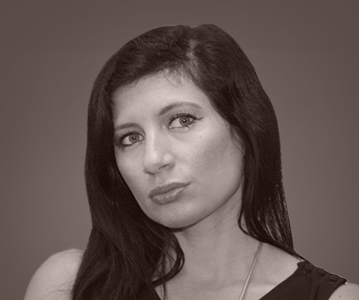 Dragica Stevanović has over 15 years of corporate, operational and human resources experience. She joined Comtrade in 2005 and currently occupies the role of HR Manager at Comtrade Distribution. Her expertise includes organizational development, leadership development, training and consulting. An NLP coach and accredited Human Synergistics consultant, Ms Stevanović is passionate about helping teams and individuals discover and make the most of their strengths, resources and talents. In addition to her career in HR, she has also worked as a psychologist in the field of dream analysis. Ms Stevanović holds a Bachelor’s degree in Psychology from the Faculty of Philosophy, University of Belgrade. Adrijana Račanović joined Comtrade Group in 2009 and is currently responsible for managing legal affairs in all Comtrade Distribution companies. Before Comtrade, she served as Legal Affairs Executive Manager in ABS Holdings, where she handled several privatization processes. During her tenure she been involved in a number of challenging projects, including the spin-off of the real estate business from the distribution business, intellectual property rights protection (including trademark protection), and sale of Comtrade Solutions’ monitoring products - Citrix Management Pack. Ms Račanović holds a Bachelor’s of Law degree from the Faculty of Law, University of Belgrade, and a Master’s degree in the UK, US and EU Intellectual Property Law from King's College London. 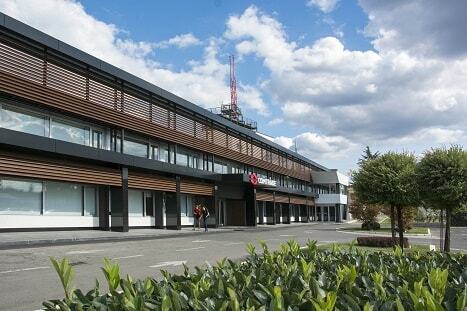 Our two state-of-the-art technology centers in Belgrade and Sarajevo are the backbone of the company. Partner with Comtrade Distribution to expand your product offering, reach new markets and increase sales. Contact us to learn more about channel partner opportunities.